We are happy to announce that this year we will be releasing a number of dates for pre-booked for Corporate Christmas lunches – perfect for those who deserve a delicious lunchtime treat to get them through the working day! What Does Our Corporate Lunch Consist Of? We have just released our festive menu in time for the Christmas period! 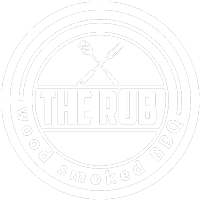 You can enjoy some of your most favourite festive treats and dishes with the Rub’s unique, delicious twist, whilst at work for an incredibly affordable price. Our menu includes some traditional Christmas favourites that are guaranteed to fill you with the feeling of festivity – even if you are at work! Choose from succulent 8-hour wood smoked pulled turkey, combined with a delicious cranberry sauce and stuffing crumbs, between our signature brioche buns. Or treat yourself to some delicious fresh pigs in blankets, which taste delicious when combined with our fresh homemade sauces. Available from as little as £5 per person, you can treat your team to a festive feast for an affordable price to thank them for all of their hard work. In order to organise your corporate Christmas lunch, contact us today to book your slot! All food will be prepared fresh and served hot, we can’t wait for everyone to try the new and improved festive menu! Please contact a member of our team today for more information about corporate Christmas lunch. Previous Post The Rub Are On BBC Three Counties Radio!